Theme Parks, Rollercoasters and More! There is something about Disney in general that can soften even the most cynical adult. Throw in a few actors in fury suits and you can have everyone rushing for the photo opportunity. Meeting the characters is a wonderful part of any trip to a park, Disney or not, but it can lead to a lot of queuing and some very unseemly behaviour. There is a reason why characters in theme parks have escorts. 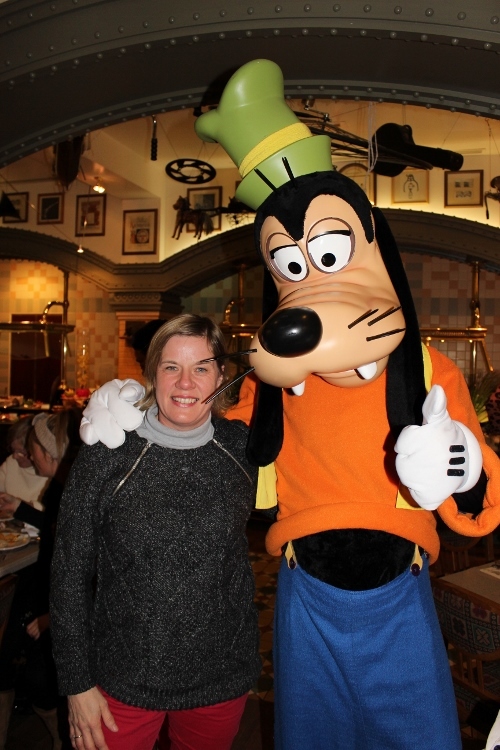 The appearance of any character in the public areas of a park generally leads to a stampede towards them as guests jostle for the best view and their treasured photo opportunity. Unfortunately the situation can also lead to some pretty poor behaviour as parents push their children forward and guests who missed their spell at charm school push others aside. I have lost count of the amount of times that I have been trampled over by over-zealous parents who appear to believe that their child should have priority over any adults who got there first. The worst offenders are generally the well to do who are used to getting their own way and satisfying their kids’ every whim. Youngsters in smart boutique clothing are thrust forward whilst hapless adults stand agog wondering what the hell happened. One minute they were just seconds from Pluto the next they are barged out of the way. I suppose this raises the question of whether adults should accept that the children must come first. Personally I don’t think so. A trip to Disney or any major park can be as important to an adult as any child and they will have worked hard to fund their visit. For some a visit to Disney is a once in a lifetime event so why shouldn’t they have their turn? The parks seem to be recognising that their characters are causing a problem and the undignified battles for the pictures do nothing to enhance the atmosphere or the feeling of goodwill at the parks. It is now becoming more and more common for character meet and greets to take place in areas and buildings designed for the purpose with organised queuing and photographers on hand. This system is a great way to yield extra revenue from the pictures and does ensure that everyone gets their turn no matter how old they are. The trouble is that queuing to meet a character and the military precision of the organisation does rather take the gloss off the event. Somehow it just isn’t the same when you have queued through a building and been directed to a room for your pictures. It is much more delightful when you just happen to stumble across the characters in the park. Seeing the characters walking around and grabbing your own pictures is much more special but I guess this is just one more situation where the bad behaviour of the few has ruined the occasion for the majority. This entry was posted in Discussion and tagged disney, disney world, disneyland, pluto, theme parks on February 28, 2014 by Sally.